Since I miss drawning, I thought it'd be fun to sharpen my skills with a lunchtime 'character design' series. 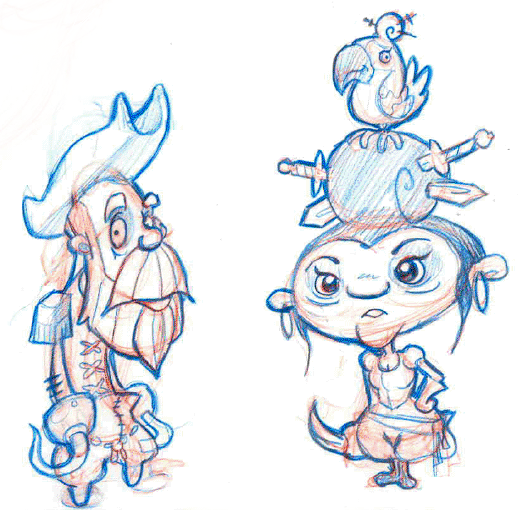 Over the next two weeks I'll be shooting for 12-15 interesting pirate designs. The one on the left is the 'Sad Sac'. Formerly a captain of his own ship, he's since lost his rank, then in 4 strokes of bad luck lost both his hands and feet. He's...seen better days.